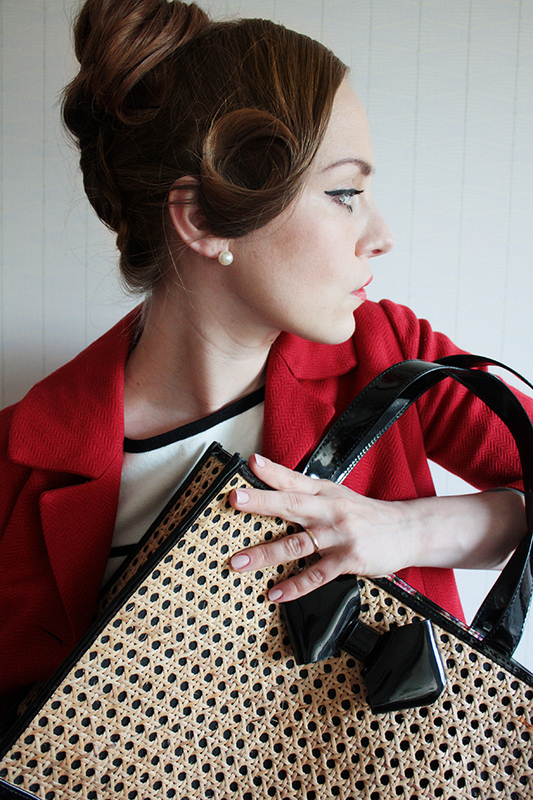 The dress is plain high street (from Lindex), bag Ted Baker and jacket vintage. And here's me doing a bag model pose. Ta-ta, over and out. Stripes are all time super cool. Love your pick! I love that kind of dress - super comfy yet so pretty! great outfit and I love this bag!!! Red and stripes! Best thing ever! :) Love it! This smnall red jacket is gorgeous, so is your hairstyle. Wish you a very happy week with lots of magic moments. Love the jacket! älskar den verkligen. Så snygg röd färg och att kombinera den med randigt. Riktigt snyggt! So classic and stylish. 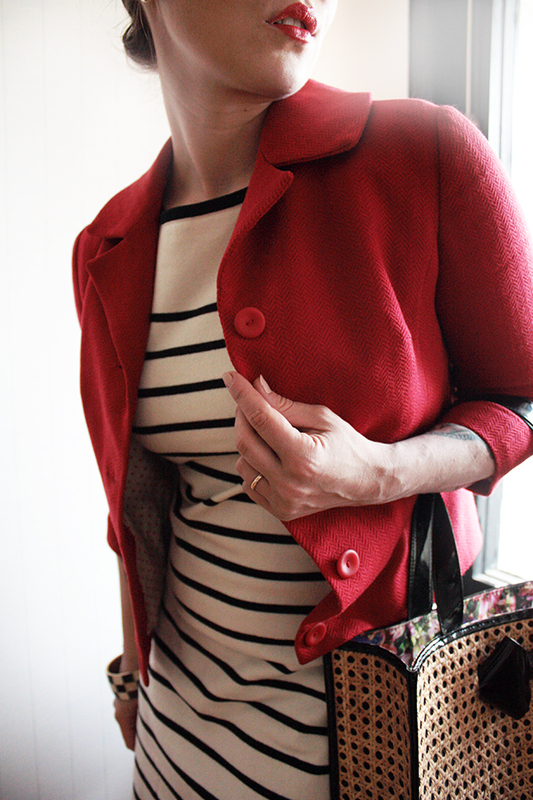 I like combination of stripes with that red jacket.